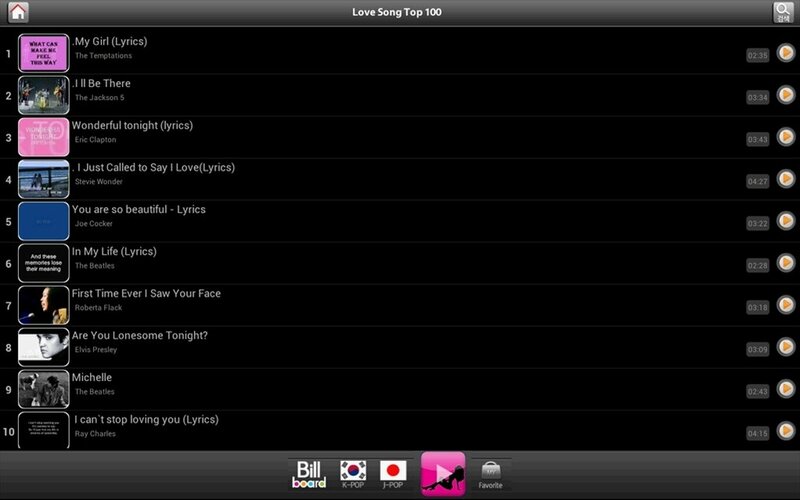 MusicTube HD allows you to access a wide range of music channels from all over the world by means of your Android device. The best thing about this application is that it is very simple and you can listen to music for free. It doesn't require registries, you don't need to purchase songs or have an account, or anything else at all. Access the channel of your choice instantly and enjoy your favorite music. Access the music of any country. Allows you to repeat the playback of the songs selected. 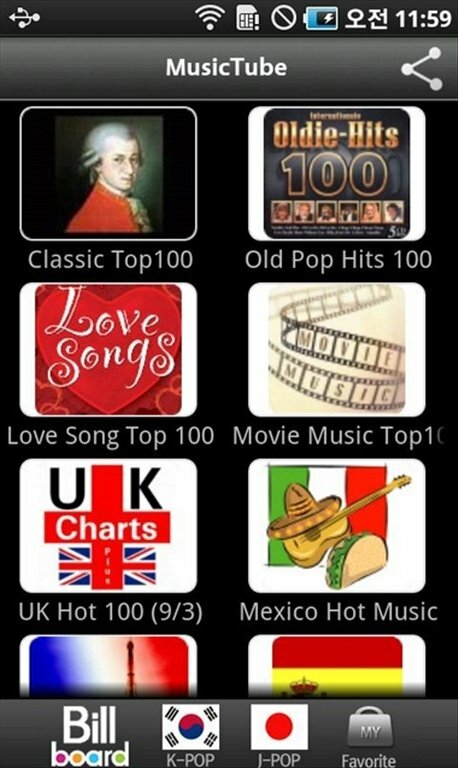 Includes music channels from France, Germany, United Kingdom, Spain, Italy and Mexico. Allows you to include your favorite songs in your My Favorite box. Includes songs by Maroon 5, Rihanna, Katy Perry, Gotye, Fun or David Guetta, among others. Allows yo to block the screen and continue listening to music. You can now listen to a wide range of songs with MusicTube HD.